When we hate our work, why don’t we change careers? Why do so many of us stay stuck, resigned to a life that doesn’t fit us? Many of us fear the time in between one career and another, that shaky time when we don’t know exactly who we are or what we do. We’d do anything to avoid it, even continue suffering. I know what it’s like. I was a newspaper editor, a job that sparked conversation at parties and made me proud most days, but I was burned out. I wanted to leave, and it took a long time to admit that. I avoided the middle place, where I’d be unemployed, or in school, or underemployed. I couldn’t face the shame of not knowing who I was in a society that puts so much weight on what you do for a living. If we do finally decide to change, we put so much pressure on ourselves to do so perfectly. We tell ourselves we must be completely sure of our next career, otherwise how do we justify the risk? We insist we execute that change seamlessly, going from one job to another with barely a drop in pay. That’s what responsible adults do, after all. If you talk to people who have made a big change in their lives, however, chances are they didn’t do it in one step. They shifted gradually, like the changing colors of the leaves right now. We don’t go from summer to winter in one day. We have this lovely season we celebrate. 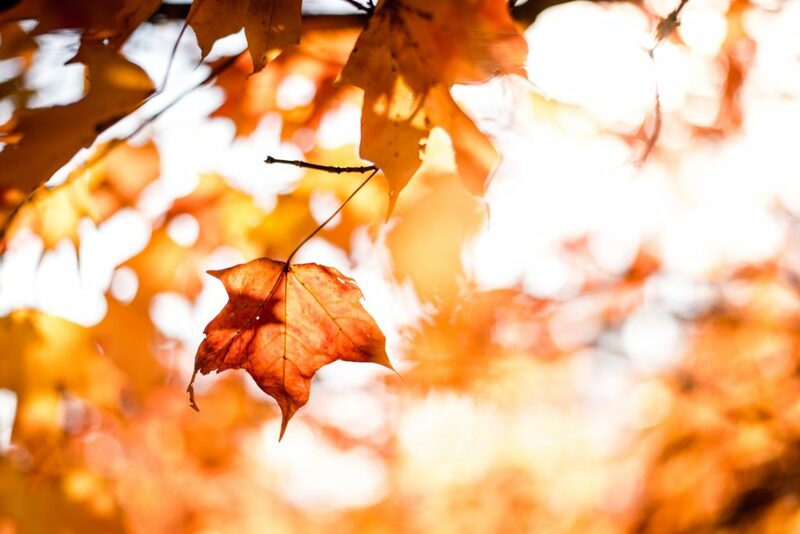 Wouldn’t life be amazing if we celebrated transition times in our lives like we celebrate autumn? What if we had a process with bonfires and Starbucks drinks and Pinterest snacks? A girl can dream. If we celebrated transitions, if we were comfortable with not knowing, we could stop thinking in terms of Big Decisions and start thinking about incremental shifts. That’s what career experts like John Krumboltz and Herminia Ibarra advise us to do. We can start with an inkling, a hunch, a feeling; and then test it in the real world in a small way. We can regroup, evaluate and repeat as necessary. We can take on side hustles or volunteer on a project for a charity, or talk with a friend in a different career. Then we can see if we’re still interested. These small but important steps give us the information we need about the world and how we react to it. So many people lament that they need to make a leap because they can’t know what’s ahead, but you can know some of it. You can test an interest and see if it sticks. You can see if you have talent by taking a class. The key is to build in this middle time for exploring who you are. It’s a gift to yourself. You may think you have to leave your job right now, to do it all at once, to make a Big Decision, but there’s another way. Try this: Think of one alternative to your career path right now. Don’t dismiss it if you think it’s crazy. Try to imagine one way to test your interest. Could you read an article or book by someone who works in this profession? Could you sign up for an online class to test how good you are at it? Could you ask a friend if you can visit his workplace for a morning? Take one small, experimental step, then reflect on what you’ve learned. You might be surprised.